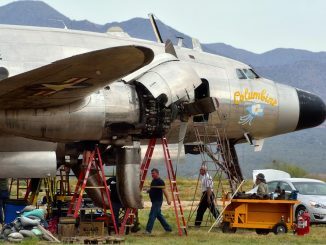 VC-121A 'Columbine II' Will Fly Again Soon!!! HomeAircraft RestorationVC-121A ‘Columbine II’ Will Fly Again Soon!!! 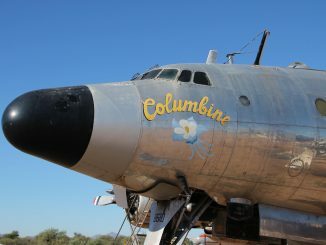 VC-121A ‘Columbine II’ Will Fly Again Soon!!! 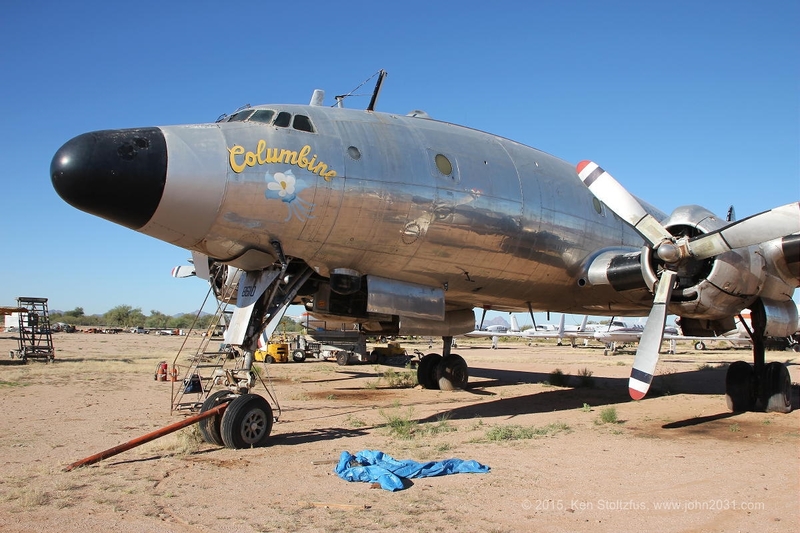 It has been some time since we have reported on the progress Dynamic Aviation is making with their efforts to resurrect one of President Eisenhower’s personal transport aircraft from his time in the White House: Lockheed VC-121A Constellation 48-0610 ‘Columbine II’. 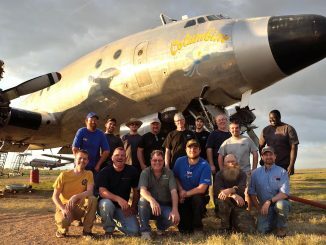 Their team of employees and volunteers has been hard at work in Marana, Arizona working on the venerable Connie over the past year or so, bring her airframe, systems and engines up to operational condition for a flight to their main base in Bridgewater, Virginia. Well, we have excellent news to report. We have just heard from Ken Stoltzfus at Dynamic Aviation that they have progressed exceedingly well with their efforts, and are hoping to have Columbine II flying again sometime soon, perhaps even within the next month! 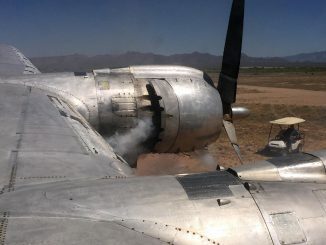 Furthermore, while Dynamic Aviation had originally intended to bring Columbine II up to ferry-condition in Marana, before flying her across the country to Virginia for a more thorough restoration, we now learn that they decided to proceed with a more in-depth level of maintenance in situ. Therefore, when the aircraft arrives at her new home in Virginia she will actually be fully certified for flight. 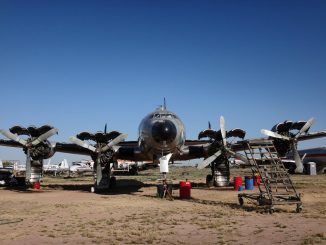 Dynamic Aviation will then go through the aircraft in Bridgewater to restore her back into display condition where she can tell the story of the presidential aviation fleet on the air show circuit in the years to come. Quite how long that will take is unknown at present, but Columbine II is bound to become an instant favorite at any venue she visits. WarbirdsNews shall endeavor to report on progress as and when new information becomes available, but we thought our readers would want to know of this exciting update. Watch this space! 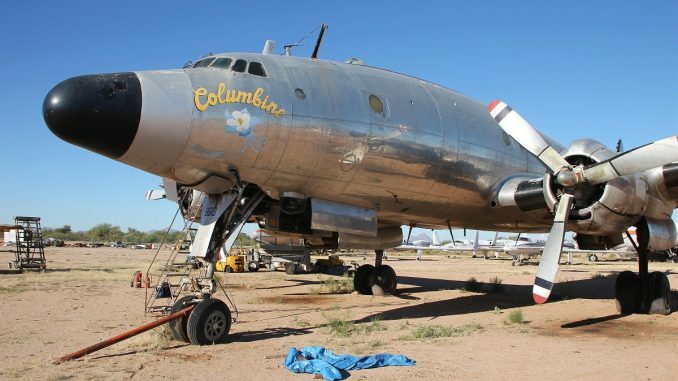 Presidential Connie Columbine II to Fly Again? Super Sabre Regains Her Wings! We at the 138th Aviation Company Memorial have to agree with Mr. Stoltzfus in that Brian Miklos is an awesome guy, our project wouldn’t be where it is today without his help too! 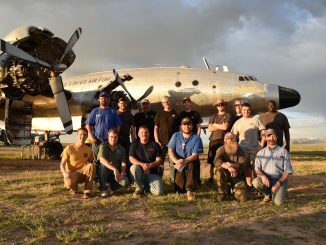 They’ve been incredible in helping you guys out too… Your project celebrates an important, and little known story of military aviation, not to mention some of the bravest guys in the business! This is AWESOME news. My first duty assignment out of AF Basic Training and Aircraft Maintenance Tech School was McCoy AFB, FL where there were a squadron of EC-121’s. 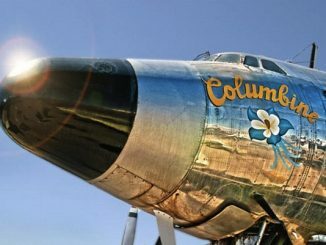 This is a beautiful WARBIRD and I can’t wait to see the Columbine II fly. This is great for this bird. I was a crew chief on a EC121 in the 60’s. On flight status with my bird. Will never forget that old big bird. Running those engines makes the most beautiful sound. Had to work on that bird at Hickam Air Force Base. It broke its APU on a trip to the Philippines for a convention. It was an easy aircraft to maintain as we had quite a few of them in VR 7 & VR 8 at the time. 1956 was the year and we were a bunch of sailors on this base. They were beautiful birds!